Its the last day of the One Lap of America, and the only event left is the dry skidpad. Yesterday the Top 10 positions looked like this. 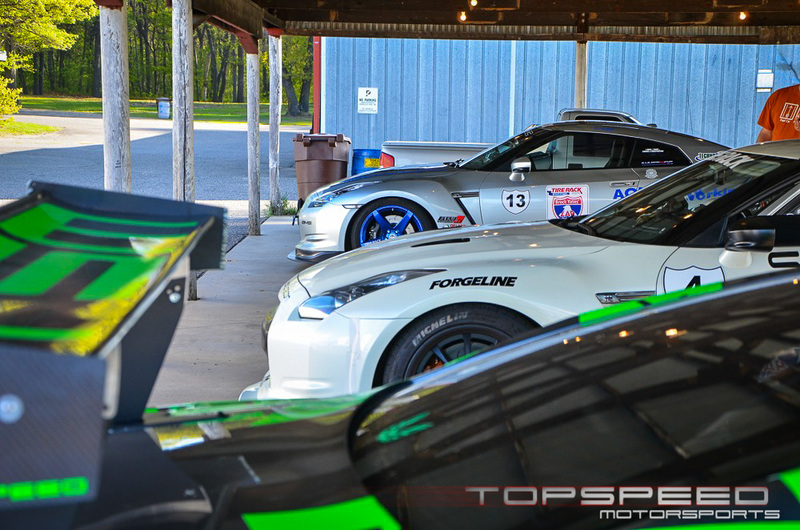 There are only 40 points between #2 and #3 GT-Rs. #4 and #5 are tied, with #6 just 15 points behind. Results from the Dry Skidpad. Overall Results for the 2012 One Lap of America. Congratulations to Leh Keen, and Doug Wilks from TopSpeed, Todd Treffert and Tyson Timperly from SpeedConcepts, and Hugh Bate and Craig Kahle from Chariots of Palm Beach on the GT-R 1,2,3 finish. Finishing first in the stock class and #7 overall was Michael Lattos and Eric VanCleef in a 2013 Nissan GT-R. The "NAGTROC" built Nissan GT-R from Bob Koerzer and Derek Heim finished in 8th spot.